On 13 May 1787, the First Fleeters sailed from Portsmouth Harbour - 1530 people consisted of officials and their wives, marines and their wives, the ships’ crews, male and female convicts, and children. 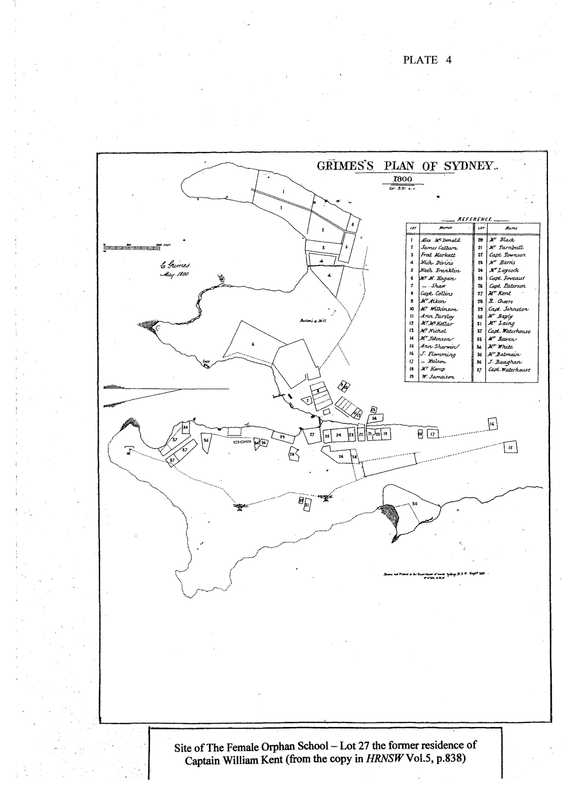 Total forty five children landed at Sydney Cove in 1788. These were the sons and daughters who were born during the voyage, or accompanied their parents on board the ships at Portsmouth. Twenty-three were the children of marines and ten were born during the voyage. The remaining twenty-two were the children of women convicts, and eleven of these children were born during the voyage to Australia. The Female Orphan Institution (also known as the Female Orphan School) was established in 1800 by Governor King to care for orphaned and abandoned children in the colony of NSW. 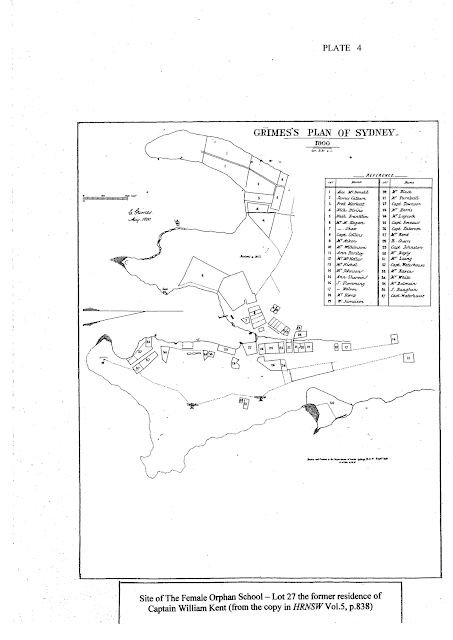 Located in Lieutenant William Kent's house in George Street, Sydney, the orphanage was supported financially by port duties and the income generated from allocated parcels of land. It was officially opened on 17 August, 1801. It was home to 31 girls aged between the ages of 7 and 14. The girls were taught spinning and sewing and some were taught reading and writing. 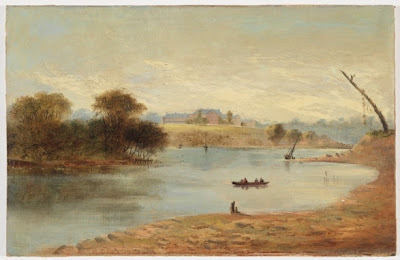 Evidence given by Governor Bligh to the British Select Committee on Transportation in 1812 suggested that there was little emphasis on education, and that the Institution had instead become a clothing factory and a source of domestic servants for colonial households. 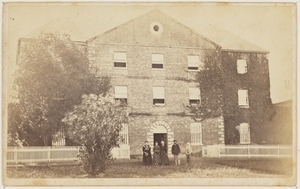 The Female Orphan School building's foundation stone was laid in 1813 by Governor Lachlan Macquarie and was one of the most ambitious projects undertaken by the fledgling colonial government. The building was to be modelled after Mrs Elizabeth Macquarie’s family home ‘Airds’ in Appin, Scotland, and would have been an imposing sight. The building was finally ready for occupation in 1818. . 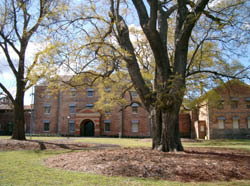 The George Street, Sydney site became the Male Orphan School. The Female Orphanage was supervised by voluntary committee of distinguished individuals appointed by the Governor which includes magistrates, government officials, clergy and settlers. The first committee was comprised of two Anglican Chaplains, Rev. Samuel Marsden and Rev. Richard Johnson, Mrs King (the Governor's wife) and Mrs Paterson (wife of the Lieutenant- Governor), the surgeon William Balmain and John Harris, surgeon, magistrate and officer-in-charge of police. In March 1926, the management, care and superintendence of both the Male and Female Orphan Schools became the responsibility of the Clergy and School Lands Corporation. From 1833 the Female and Male Orphan Schools continued under the control of the Colonial Secretary.